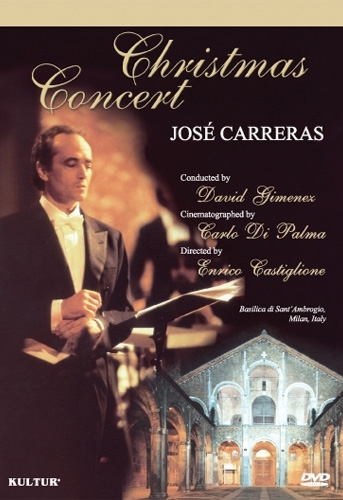 A special Christmas performance filmed at the Basilica di S. Ambrogio, Milan, with Jose Carreras and the Orchestra Sinfonica Dell'Emilia Romagna "Arturo Toscanini." Conducted by David Giminez and directed by Enrico Castiglione, this spectacular event features works by Bach, Handel, Franck, Alvarez, Schubert and more. 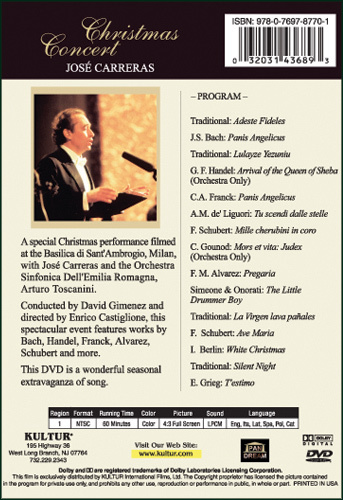 A wonderful seasonal extravaganza of song. "Arrivo della Regina di Saba"